A prestigious travel portal TripAdvisor has recognized Loro Parque through their annual Travellers’ Choice 2017 as the BEST ZOOLOGICAL PARK IN THE WORLD, an award that is based on the independent evaluations of the users of this worldwide platform. This award is yet another acknowledgement of Loro Parque’s efforts in the matters of conservation of biodiversity and raising awareness about the protection of the natural habitats of the wildlife on the planet. 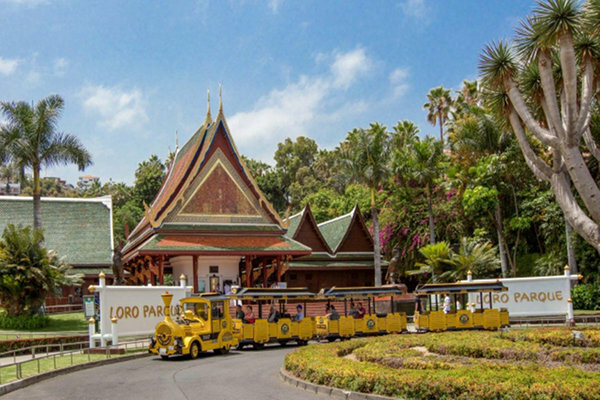 Having been chosen as the Number 1 Zoo in the World, it is a true recognition to Loro Parque for its commitment to animal welfare and joins the series of several other recent certifications received by the park. 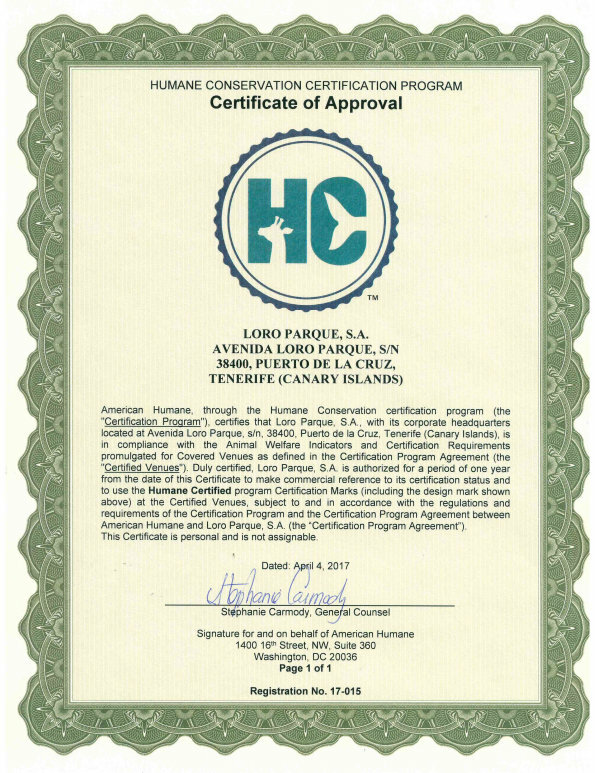 Thus, earlier this year Loro Parque received a HumaneCertified certificate from the renowned animal welfare organization American Humane that was conceded to Loro Parque for its humane treatment of the animals, converting it into the first zoo in Europe to have obtained this standard, with the highest rating. Furthermore, Loro Parque confirmed its full compliance with the Global Welfare Standards of the Association of British Travel Agents (ABTA) after being inspected by the auditors of Global Spirit and obtaining the highest possible rating of 100%. Among the members of ABTA are present the leaders of the tourism industry, such as Thomas Cook or TUI UK. Loro Parque’s recognition by the users of Trip Advisor as the best in the world in animal welfare, considering the role of a modern zoo in the society, could not be fully grasped without the knowledge about its research and conservation program carried out since 1994 through the Loro Parque Fundación. Thanks to the support of Loro Parque, its partners, visitors, friends and collaborators, more than 17 million dollars have been directly invested for the development of conservation programs both in situ and ex situ, following the commitment ‘100% for Nature’. Among many significant successes, including important achievements in the marine environment, Loro Parque Fundación’s work has made possible the salvation of nine species of parrots from their imminent extinction. This is the case, to give some examples, of the Blue-throated macaw, original of Beni, Bolivia, whose population has increased from 50 to 350 individuals with the project. Another good example that occurred in the same timeline is the evolution of Lear’s Macaw, whose population has increased from 22 to over 1.200 individuals, as well as the Yellow-eared parrot from Colombia, whose numbers have increased to over 4.000 individuals in present days, thanks to the efforts of the project to save the palm tree habituated by these parrots. In 1999, before Loro Parque Fundación started this project, there were only 82 individuals of this species left in the wild. The results of the coordinated efforts between Loro Parque and Loro Parque Fundación, in their continuous commitment to innovation, are very clearly represented in the newest project KAZA, which is aimed at protecting the cross-border areas of five African countries. The goal is to ensure the conservation of the African lion, a highly endangered species whose numbers have decreased in the last 50 years from 100.000 to less than 25.000 (over 75%). Most recent arrival of three Angola lions to Loro Parque’s Lion’s Kingdom allows them to perform an important role as the ambassadors of their species and help raising awareness about the urgent need to protect the natural habitats, as well as to give the scientists an opportunity to learn and gather more information about their features and needs. Almost 45 years after Loro Parque first opened its doors, with just 13.000 square metres and 30 employees; the company now obtains the successful results of its entrepreneurial policy that consists in reinvesting all profits into the continuous development and improvement of the park and ensuring the best animal welfare. More than 47 million visitors have visited Loro Parque in all these years, as it stays true to its firm commitment to demonstrate the beauty of the biodiversity in all its installations, paying attention to every detail, nowadays over the area of 135.000 square metres. Taking into consideration that every year more than 700 millon people visit zoological parks worldwide, Trip Advisor’s recognition demonstrates, once again, that Loro Parque offers an unforgettable experience to its visitors who come from different parts of the world to discover for themselves this authentic Animal Embassy. This Award comes as a reinforcement to the most recent recognition of Siam Park, which was created following the same entrepreneurial policy for continual development, innovation and excellence, as the Best Water Park in the world for the fourth consecutive year. 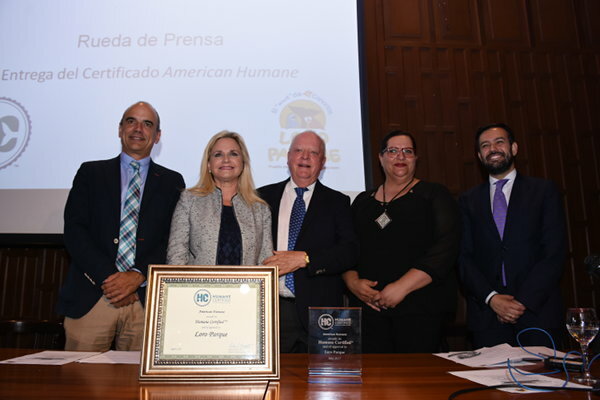 American Humane, America’s first national humane organization and the world’s largest certifier of animal welfare and well-being, announcedthat Loro Parqueachieved certification from the global American Humane Conservation program. Loro Parque, the 33-acre zoo in Puerto de la Cruz,passed a rigorous third-party audit to become the first institution in Europe to earn the program’s prestigious Humane Certified™ seal of approval. 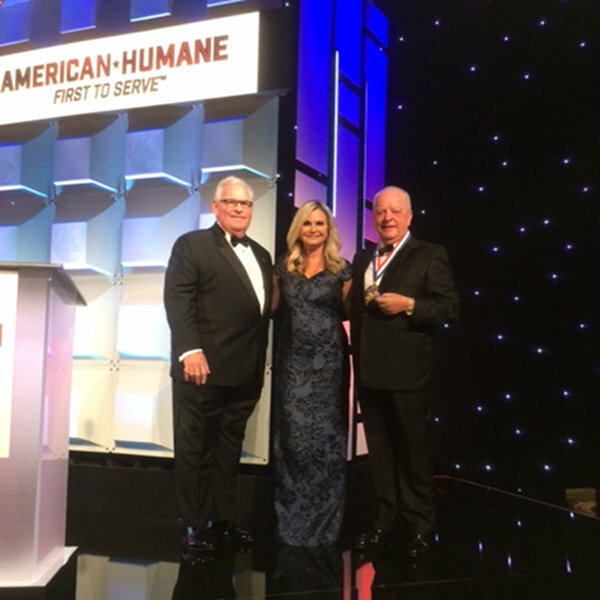 The American Humane Conservation program is the first-ever certification program solelydevoted to helping verify the humane treatment of animals living in zoos, aquariums, and conservation centers across the globe. The program enforces rigorous, evidence-based standards of comprehensive animal welfare, developed by an independent Scientific Advisory Committee comprised of world-renowned leaders in the fields of animal science, animal behavior, animal ethics, and conservation. “Our work at Loro Parque is defined by love and commitment to the animals and their natural environment, something that we have dedicated more than 45 years to. This recognition is especially important for us, the entire team of Loro Parque, as it acknowledges independently the well-being our all of our animals, more than 10,000 of them that are currently in our care and to whom we dedicate all our care and affection on a daily basis. In the times, when the biodiversity in the wild continues to suffer and diminishin numbers due to all the negative impact affecting the nature, we, as a modern zoo, recognize the importance of providing the best care for the animals, above all, the endangered species, participating in programs of reproduction to maintain the genetic fund and in programs of conservation of the biodiversity, including protection of the natural habitats,” stated Wolfgang Kiessling, President of Loro Parque. Mr. Wolfgang Kiessling, president and founder of Loro Parque & Loro Parque Fundación, has been awarded the Consul-Cremer-Prize 2016 in recognition of his strong background and extensive experience in conservation and breeding of birds. 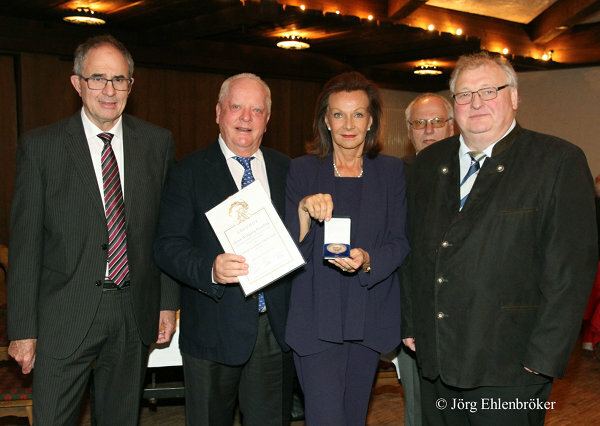 The ceremony took place on April 16 at the annual meeting of the association of aviculture VereinigungfürArtenschutz, Vogelhaltung und Vogelzucht (AZ) in the German town of Harsewinkel. This prestigious organization, founded in 1920, focuses its work on research, preservation and reproduction of birds, and has become the main point of reference in this field both in Germany and on the international arena, thanks to its 17,000 members from around the world. The Consul-Cremer-Preis, its highest recognition, is given to professionals, recognizing their great achievements in this field. The award was presented to Mr. Kiessling by Mr. Karl-Friedrich Scharrelmann, AZ-President, for his dedication and in appreciation of his work with the AZ association of which Mr. Kiessling is a member since more than 40 years. Since its creation Loro Parque Fundación, a non-profit organisation, has led more than 120 projects to preserve the rich biodiversity and natural habitats of threatened species worldwide with a total investment of more than 16,000,000 US dollars. Loro Parque Fundación has the largest and most diverse collection of parrots in the world, and follows a clear philosophy: responsible breeding, promoting sustainable development and conservation of wildlife thus having achieved impressive results as saving the bird species such as the yellow-eared parrot (Ognorhynchusicterotis) and Lear´s macaw (Anodorhynchusleari) from extinction in the wild. 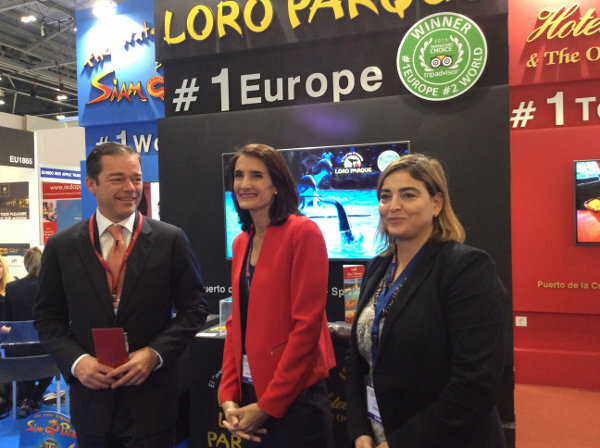 Loro Parque Fundación has won this year’s prestigious World Travel Leaders Award 2015, awarded by the World Travel Market, the largest tourism fair in Europe, held in London. 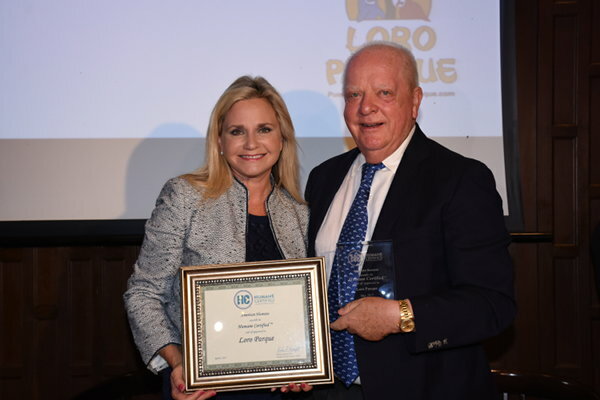 This award recognizes the continued efforts of Loro Parque Fundación on issues of biodiversity conservation and protection of natural habitats, research and promotion of sustainable development. At the WTM awards ceremony held on 3rd November, Hosteltur director, Manuel Molina, presented this award to Christoph Kiessling, vice-president of Loro Parque and trustee of Loro Parque Fundación. For over 20 years, Loro Parque Fundación has dedicated its efforts to the cause of protecting species that are most endangered, operating internationally through education, applied research, responsible breeding programs and conservation activities based in the community using certain species as ambassadors for nature. Loro Parque, the Number 1 Zoo in Europe and second in the world, according to Trip Advisor, supports Loro Parque Fundación by covering 100% of the administrative costs of the foundation, allowing all donations to go directly to the cause of wildlife conservation and the promotion of sustainable development through the implementation of projects in all continents. So far, there have been 96 projects with total investment of US$ 15 million. 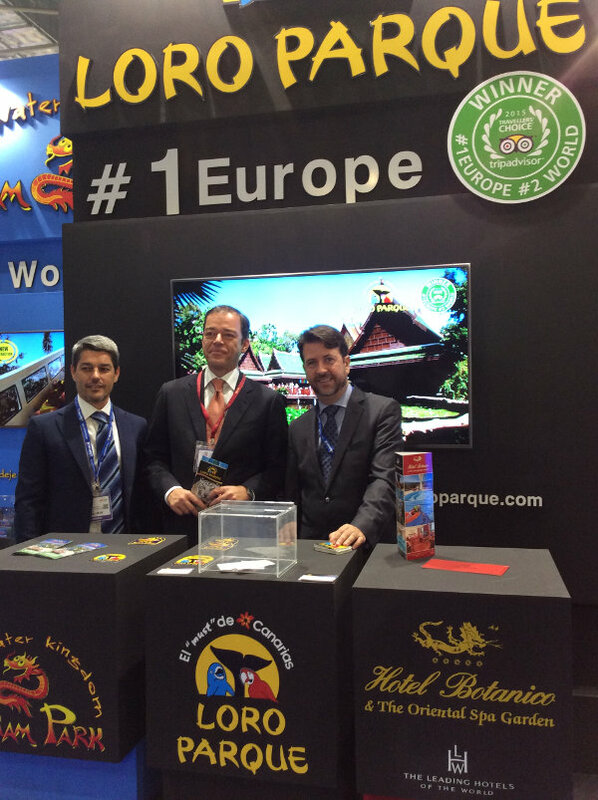 During this week, both Loro Parque and Siam Park, as well as the Hotel Botánico and Brunelli’s restaurant have been present in the World Travel Market, with a stand designed specifically for the fair in order to present the latest developments of companies. In turn, the opportunity has been taken to present the latest exhibition of Loro Parque, the red panda exhibit opened this week. These lovely and charismatic animals came to the park from the UK and have received into a new facility designed and developed specifically to recreate the environment and the natural habitat of these enchanting animals. Another new, recently opened exhibition in Loro Parque is Animal Embassy, an emblematic educational zone specially developed with a firm commitment to the defence of nature and the development of responsible tourism. 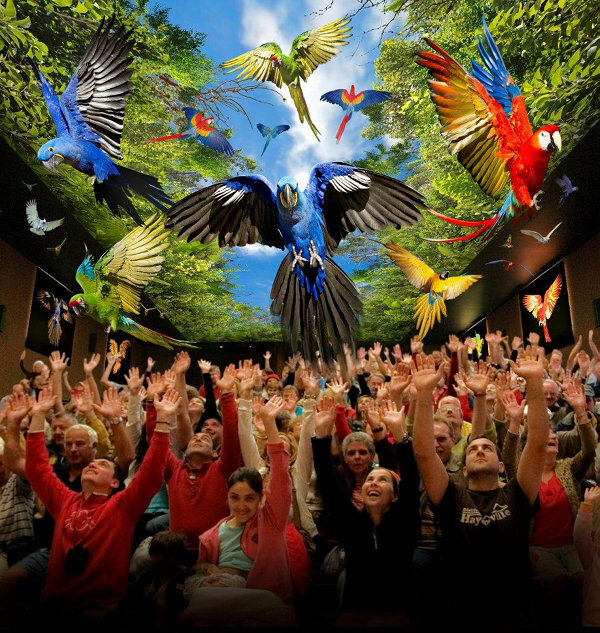 This exhibition is where Loro Parque and the Loro Parque Foundation unite to alert visitors to the destruction of nature and species extinction. 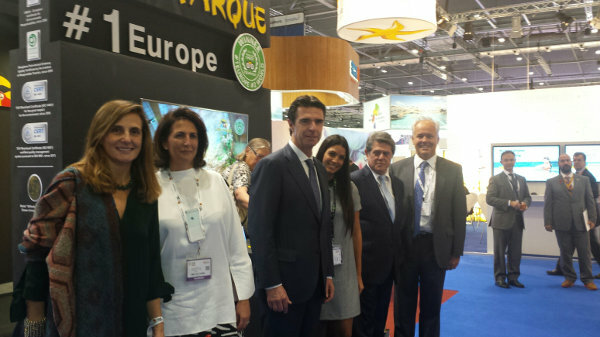 The stand of Loro Parque in London was visited, among others, by the Minister of Industry, Energy and Tourism, José Manuel Soria; the Chief of Promotur Turismo de Canarias, Maria Mendez; the Minister of Tourism, Culture and Sports of the Canarian Government, Maria Teresa Lorenzo, the President of the Cabildo of Tenerife, Carlos Alonso, and the Minister of Tourism of the Cabildo de Tenerife, Alberto Bernabé. Loro Parque company celebrates that for the second year running the group’s theme parks are considered to be among the best in the world and continue to achieve success, now with the prestigious recognition of the largest travel website, Tripadvisor, considering Loro Parque the Nº 1 Zoo in Europe and 2º best in the world. 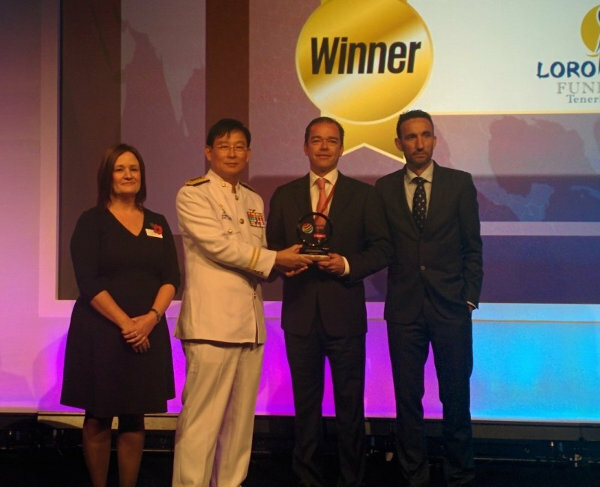 On the other hand, Siam Park received the award as best Water Park worldwide. This distinction was announced in the third edition of the Travellers’ Choice Awards, created by TripAdvisor honouring the opinions and recommendations regarding the best sights and attractions in the world according to travellers’ themselves.